While many divorces can be friendly in nature, this doesn't mean that they won't be costly. When it comes to divorce in today's society, it is all about the division of assets, namely items of monetary value. Without this knowledge, people can wind up losing a significant portion of their assets in a divorce, potentially leaving them in financial ruin; however, this doesn't have to be the case. Fortunately, there are a few tips that everyone should keep in mind to ensure that they have some semblance of financial stability on the other side of any divorce proceeding. What was Brought Into the Marriage? One of the aspects of the division that every judge is going to look at is what assets are marital in nature and what assets are non marital. Assets that were brought into the marriage by one spouse are likely to remain non marital in nature. This means that the assets are owned by one of the spouses, not both, and that they won't be subject to the division of assets during the divorce. Make sure to make note of the assets that were owned prior to the divorce to ensure that these aren't inappropriately counted during the division of assets. Are All of the Assets on the Table? It is not unusual for one spouse to try and hide certain assets from their partner. If they're hidden, it could mean that they aren't included when the assets are divided, potentially leaving one spouse at a severe disadvantage. Make sure this doesn't happen by following the money. Make sure that all of the other spouse's business holdings, bank accounts, and credit cards are on the table. Understand where all of the assets are coming from to ensure that the division of assets is fair and equitable. Part of ensuring financial stability on the other side of a divorce is planning accurately for the future. Many people will make the mistake of budgeting for alimony payments in perpetuity. Unfortunately, this often isn't the case. There are many reasons that the alimony payments might stop, including financial disaster from the other spouse that causes the money to stop. 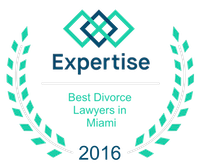 Ensure that an accurate budget and solid financial plan are both in place prior to the divorce agreement going final. This will help keep the bank accounts afloat going forward.